For readers of Lilac Girls and The Nightingale comes an internationally bestselling World War II novel that spans generations, crosses oceans, and proves just how much two young women are willing to sacrifice for love and family. 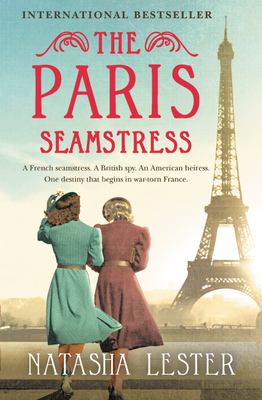 1940: As the Germans advance upon Paris, young seamstress Estella Bissette is forced to flee everything she's ever known. She's bound for New York City with her signature gold dress, a few francs, and a dream: to make her mark on the world of fashion. Present day: Fabienne Bissette journeys to the Met's annual gala for an exhibit featuring the work of her ailing grandmother - a legend of women's fashion design. But as Fabienne begins to learn more about her beloved grandmother's past, she uncovers a story of tragedy, heartbreak and family secrets that will dramatically change her own life. Included in BookBub's "Best Historical Fiction Coming this Fall"
Natasha Lester worked as a marketing executive for L'Oreal before penning the USA Today and internationally bestselling novel The Paris Seamstress. When she's not writing, she loves collecting vintage fashion, traveling, reading, practicing yoga, and playing with her three children. Natasha lives in Perth, Western Australia.